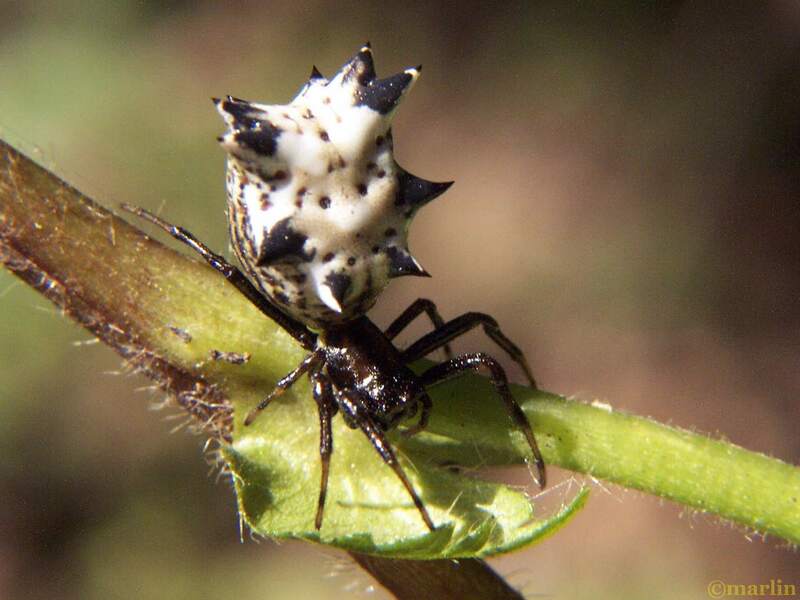 Commonly called the Spined Micrathena, this unobtrusive forest denizen is completely harmless to humans. 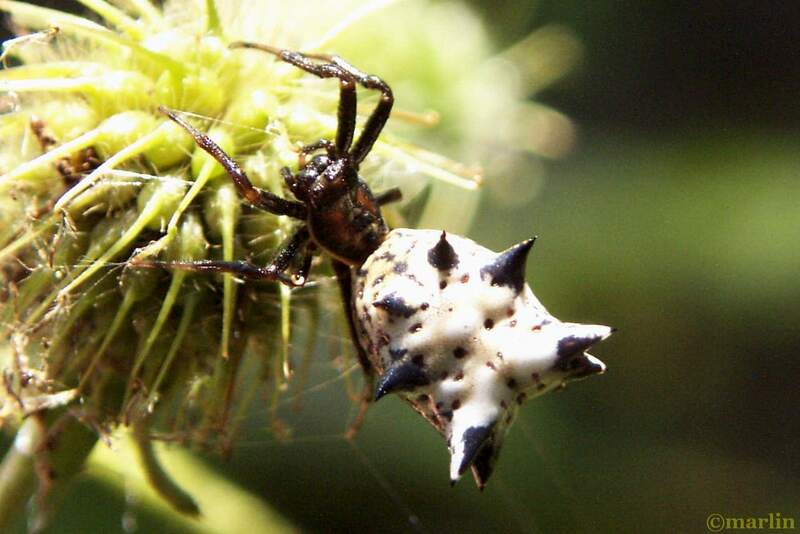 This spider spins a large, tightly coiled orb web in wooded or brushy areas. These webs are often anchored to shrubbery or trees nearby with log, strong single threads many feet long. It’s nearly impossible to walk along a forest understory trail without running into these strands of silk – and you will realize how strong those anchoring lines are. I took these shots circa 2002 with my Kodak 3Mb DC4800 point and shoot. I used to shoot everything in available light. I really need to get out and get some modern-day shots of this otherworldly beast. 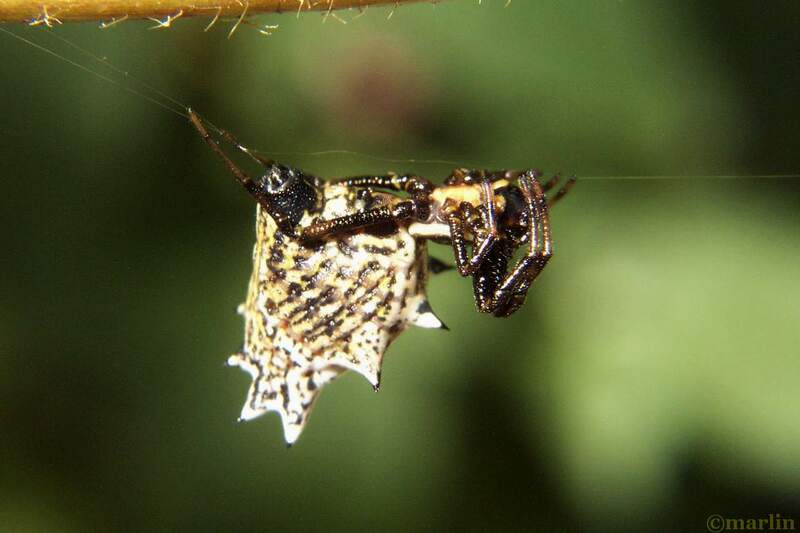 Alas, they present some of the most difficult conditions for a bug photog – the spiders themselves are very reclusive, and if they get the idea you are looking at them, they will hide. That, couple with the fact their orb webs are built horizontally and the spider sits underneath means you will always be on or near the ground. The slightest breeze, the merest hint of breath will set the web into a focus-destroying oscillation. Yes, I really must get out there before my advancing age makes such shots nearly impossible.